Where each student is treated like family - valued, safe and authentically cared for. We have awesome events planned every Wednesday (7-8:30) for students in Grade 7 & 8, and also Friday (7:30-10) for students Grade 9-12. New students are welcome to register at any point throughout the school year. ​Steve is always available to connect with families outside of regularly scheduled youth events. If you need details about an upcoming event or need supports as you navigate life, please feel free to reach out. ​We love spending time with youth on Wednesday and Friday nights, but we are even more passionate about meeting with the larger community on Sunday Mornings! Find out more in the link below. Why do we run this program? We love connecting with students. In their eyes, we see the future of our world and we get so excited when we consider each student's potential. 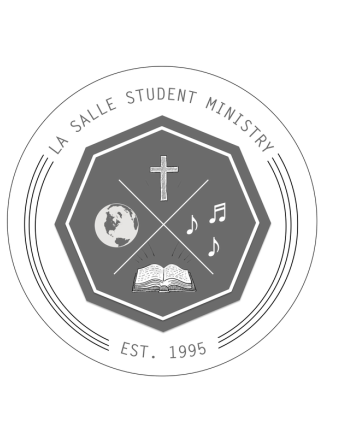 At La Salle Student Ministry we focus on building friendships with students with no strings attached so that each student will be empowered to become all that they were designed to be. Each student is treated like family - valued, safe and authentically cared for. We also pray for each student as they navigate the pressures of life and culture. We pray that each student who comes through the doors of La Salle youth would become contagious lifelong followers of Jesus, becoming agents of peace, hope and love.